I want to explore the wold of pickled beets, eggs, the combination of pickled eggs and beets, and the PA Dutch influence on beets and eggs. 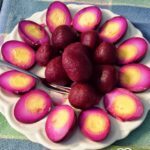 I want to shed some light on various recipes and provide a favorite pickled red beet eggs recipe, called Pennsylvania Dutch Pickled Red Beet Eggs. If you are short on time, you can jump right to the PA Dutch Pickled Red Beet Egg Recipe. However, if you want some dinner table talking points, the full article will help you elaborate on the origins and cultural significance of PA Dutch Pickled Red Beet Eggs. Your diners will be wowed by your beet and egg knowledge! Also, if you don’t already have a gallon glass jar, I would recommend getting one or two. They come in handy for all sorts of pickling and kitchen uses. 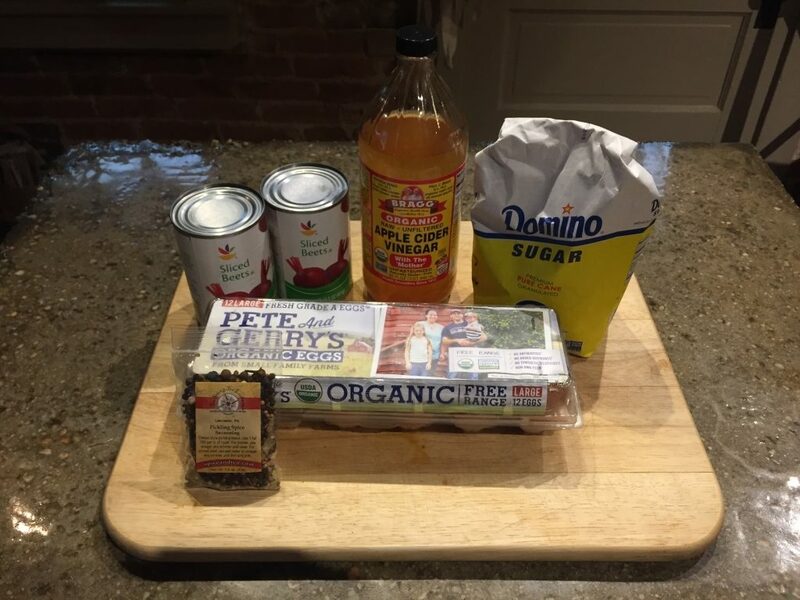 Some local (Lancaster, Pennsylvania) readers may see the title of this post, the above picture, and below recipe and not bat an eye. I am sure most Pennsylvanians, especially those near me in PA Dutch and Amish country here in Lancaster County, are very familiar with the wonderful purple and yellow visual of a halved red beet egg. However, what may come as a surprise to those readers is that this purple wonder is not ubiquitous around the nation. 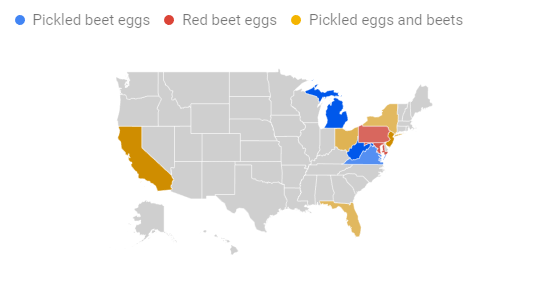 The term pickled egg, in the mid-Atlantic region, may conjure images of a purple egg but that isn’t the case for much of the nation. Even more interesting, where pickled eggs are purple, they don’t share the same name. 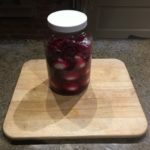 It’s also important to note that pickled egg recipes tend to be different in many regions, only some of which end up purple, or more specifically, include beets. Also, if a recipe you are looking at includes the name: “Pickled Eggs and Beets” there is a good chance it is from California or New York. For a true PA Dutch recipe, they will be called “Red Beet Eggs.” Please allow me to elaborate! There are a number of names for pickled red beet eggs. However, purple eggs are not well distributed throughout the country. Here you can see three common names and the states where they are most common. The popularity of the different names for pickled eggs and beets, by the numbers, is pretty similar. This article and recipe isn’t about beets or pickled beets specifically but you can’t have one without the other. Pickled beets are a popular canned good all over the country. However, you can’t have red beet eggs without beets. In some recipes, you can simply add hard boiled eggs together with pickled beets in a jar, allow them to hang out in the fridge for a week and the end result will be pickled red beet eggs. However, the recipe I like to use calls for beets that aren’t yet pickled. Making the pickling brine is part of the recipe and gives you a bit more control over the flavor. However, whether pickled or not, growing and harvesting your own beets is certainly an option. 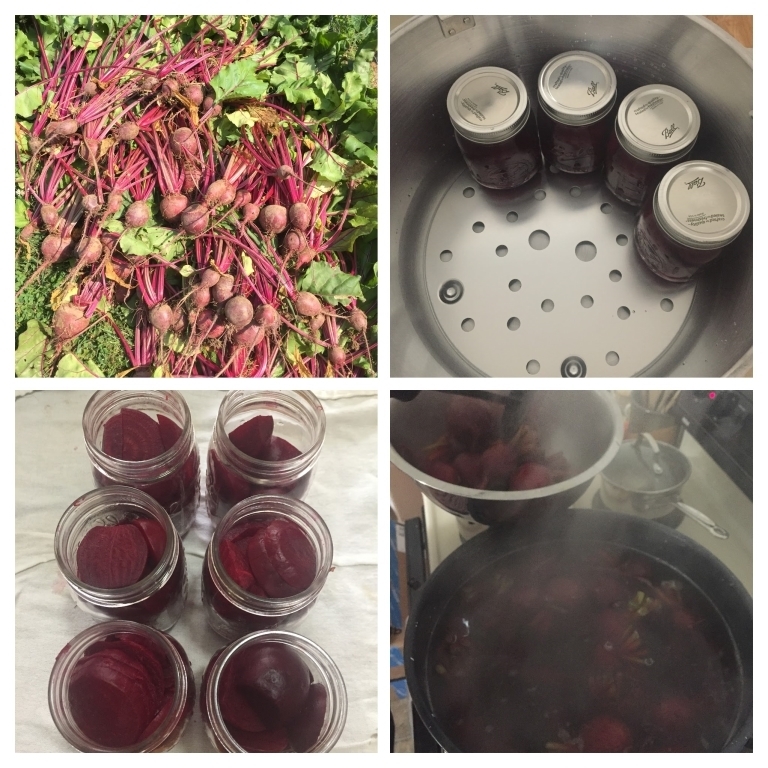 Pickling and canning those beets could really speed up your pickled beets and egg recipe. Simply mix your pickled beets with hard boiled eggs in a jar and you are good to go. Growing, harvesting, canning, and pickling beets could be the first step to a great pickled red beet egg. Not only are there differences in the names used for red beet eggs, but pickled beets versus pickled eggs is its own story. 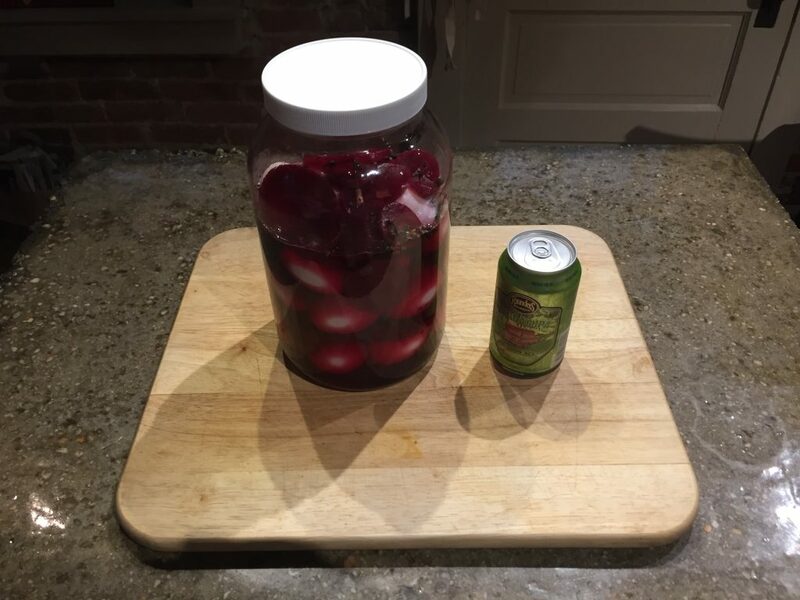 I can’t say for sure why pickled beets may be more popular than pickled eggs, or vice versa. It is most likely, like many regional differences, simply a mix of culture and climate. 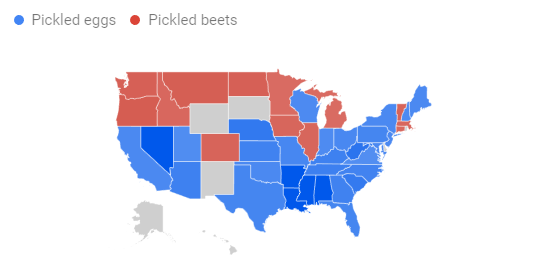 Pickled beets alone have more popularity in the north and north west of the country while pickled eggs win the contest in the east and south. Pickled beets and pickled eggs tend to be close in popularity by the numbers. Now, this is where I want to drop a bombshell! Red beet eggs are not traditionally “pickled eggs.” Red beet eggs, as they are known to the Pennsylvania Dutch, are simply that, hard boiled eggs mixed with red beets. They are allowed to commingle for a period of time and the end result is a mild, beet flavored purple egg. Often, there is salt included as the desire for preservation still exists, but not vinegar or sugar and spices. The fact that these red beet eggs exist can be a bit of a surprise if you are accustomed to a pickled version. The pickling brine, including vinegar, sugar, and pickling spice, really adds a lot of new flavors to the hard boiled eggs. 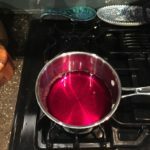 If you really enjoy beets and don’t want a strong pickled flavor, simply mix some beets and their juice with some eggs, add some salt (About a teaspoon per cup of beets/juice), give it some time, and presto, Red Beet Eggs. These would keep for a while even without refrigeration. 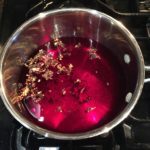 What seems to be troubling to me is that some recipes for red beet eggs, while not including the “pickled” adjective, still create a pickling brine. This may be due to misunderstanding or potentially due to long standing family tradition in some circles. However, let me be clear, a red beet egg and a pickled red beet egg are two separate hard boiled egg recipes. Whether you know them as Pickled Beet Eggs, Pickled Red Beet Eggs, or simply Pickled Eggs And Beets, the recipes all tend to be similar. This recipe is mostly designed to preserve eggs beyond their standard shelf life and tends to be quick and easy. There are some recipes that try to get fancy, and that is always an option. However, they are often recipes from California or New York. If you have some eggs that need to be used, you want a quick way to add another month, two, or three to their life, and you want to create a delicious snack, these true PA Dutch Pickled Red Beet Eggs are your answer. The list of ingredients is short. That makes this pickled egg recipe quick and easy. 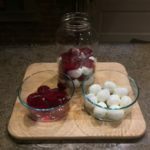 Pickled Red Beet Eggs are a quick and easy dish for a summer BBQ, picnic, as a snack, and even on the table for many traditional Pennsylvania Dutch holiday dinners. This recipe image is from my Aunt's Easter Dinner table in PA Dutch country. Drain the beet juice into a medium sized sauce pan. Add the vinegar, sugar, and pickling spice to the pan. Heat the mixture in the pan until the sugar dissolves. However, don't boil the brine. Start to mix your eggs and beets in a large jar. Start with eggs on the bottom and continue to layer beets and eggs. Pour the brine over the layers of beets and eggs. Refrigerate for at least 2 days before serving. I would wait for a week for the best results. The eggs will keep for months in the refrigerator. 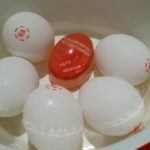 If you need some help with hard boiled eggs, please visit the how to hard boil eggs guide. Beets are very versatile. Having a number of different ways to prepare and preserve your beets at harvest will keep you enjoying beets throughout the year. Try everything together, sugar, salt, and all the options! Mix all ingredients, minus the eggs, in a sauce pan. You can heat it to help the sugars dissolve, but don’t boil it. Pour the brine over the eggs and allow them to rest in the brine in the refrigerator for at least a few days. I would eat them within a month. If you are unaware, pickling spice is sold in pre-mixed packages. This wouldn’t be Jerky, Pickles, and Beer without some mention of pairing hard boiled eggs and beer. The sweet and sour pickling brine and the earthy flavor of beets compliments beer very well. Pickled hard boiled eggs and beer are a great combination. Also, no kitchen is complete without a gallon glass jar or two. 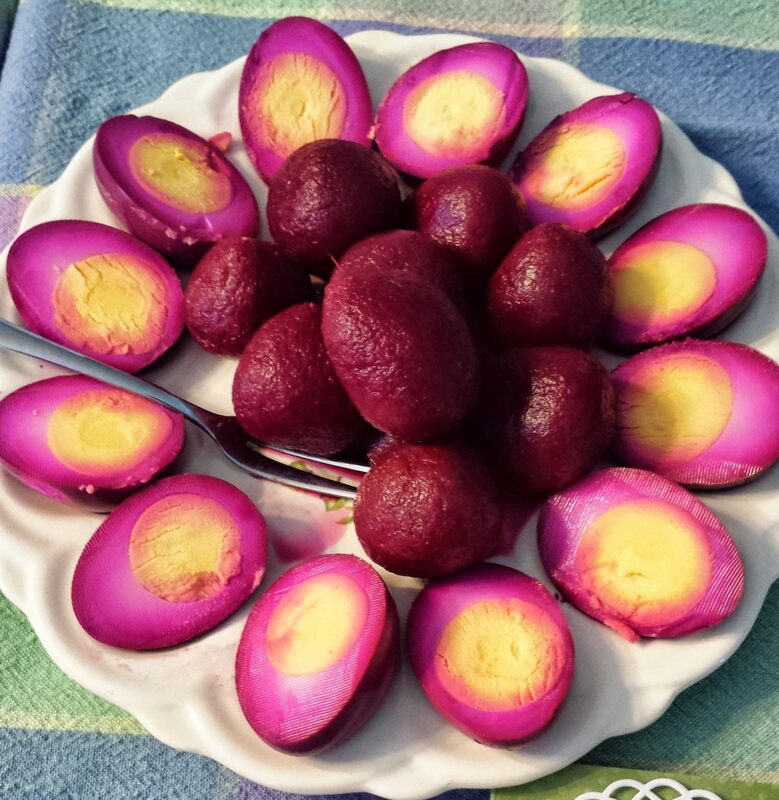 Pickled red beet eggs are amazing!